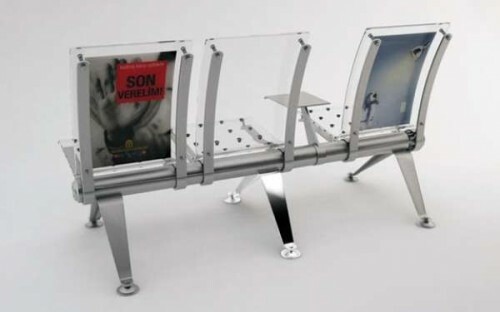 The transparent seats covered in the ads that you see here could very well be the future of airport seating. 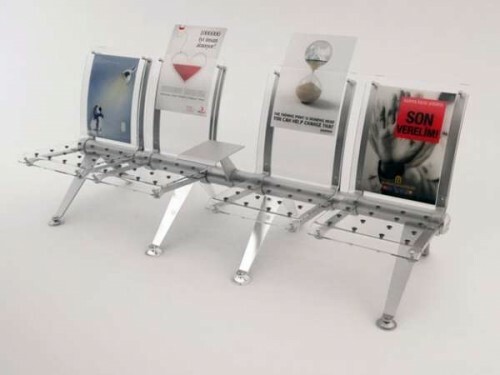 The Beetling Airport Seat was designed by DESIGNNBOIS as an upgrade over the cushy, but non ad-enabled seats currently littering airports. The Beetling Airport Seat is made entirely out of plastic and features ventilation holes poked into the seats. 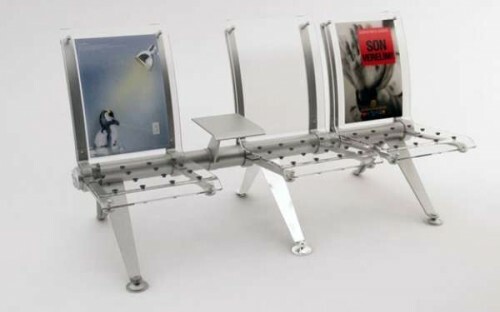 The most interesting feature of these seats is the almost picture frame-like backrest that can be used for marketing purposes. The idea is incredibly simple and I really do have to wonder why airports haven’t tried something like this sooner.